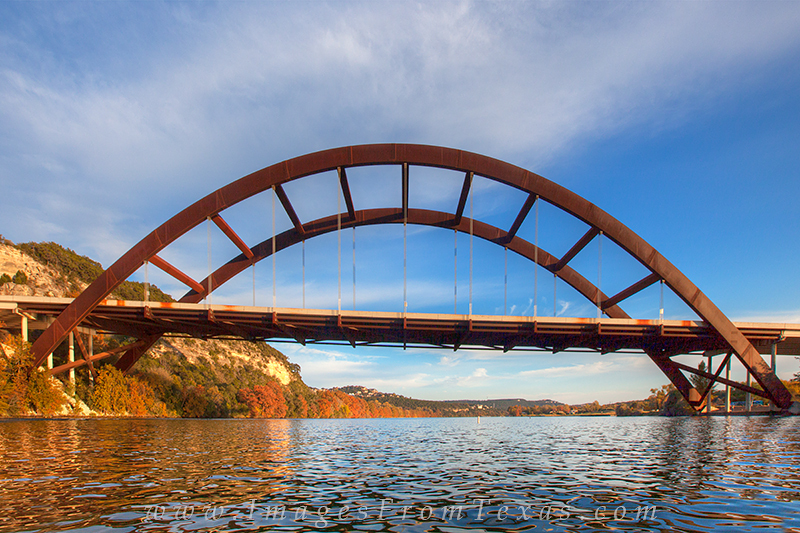 Kayaking on a late fall afternoon on the Colorado River in Austin, Texas, is a great experience. In this photo from the 360 Bridge along the Capitol of Texas Hwy, the iron arches span the cool water but never actually touch the water. Photo © copyright by Rob Greebon.